UK-based label Maximum Sound, lead by producer Frenchie, went digital last week. The first step was to offer the back catalogue on iTunes, and the other day saw the release of the iTunes exclusive compilation Maximum Sound 2011. This set assembles 18 dancehall and one drop tunes from 2009 to 2011. And as usual with Maximum Sound there are no fillers here, only killers from the crème de la crème of Jamaican singers and deejays. I mean, you hardly go wrong with Sizzla, Bounty Killer, Mr. Vegas, Tarrus Riley and Alborosie on well-produced and inspired riddims such as Praise Jahovia (a relick of the Billie Jean aka Get A Lick riddim), Ghetto State (which incorporates elements from Half Pint’s One Big Ghetto) or the most recent addition, Fairground. 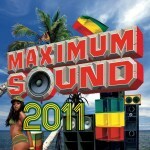 Maximum Sound 2011 collects several tunes previously only available as 7” or 12”, but it also includes exclusive titles, such as Who You Love from Ce’Cile. This compilation is without a doubt an essential purchase that will enhance any record collection. Master producer Frenchie has been a bit quiet for a while. Late last year he dropped a bunch of steppers tunes produced by Russ Disciples on his new imprint Calabash. But now he is back with a bang. Three new riddims and one single are set for release next week. And as these are Frenchie productions you can count on some huge artists. Sound Exterminata is a dancehall riddim voiced by the likes of Mr. Vegas and Burro Banton, while Skateland Killer is roots with cuts from Tarrus Riley and Frenchie’s long-time friend Captain Sinbad among others. Ghetto State is a hip-hop tinged one drop and offers artists such as Sizzla and Bounty Killer. Frenchie has also produced Unity from Swedish dancehall talent Million Stylez. Busy Signal is one of the most versatile dancehall artists ever. Since his debut album Step Out he has tried mashing dancehall with different genres and become an artist not bound by musical styles or traditions. To Reggaemani he reveals his passion for 70’s soul, 80’s pop and comments on his friendship with Bounty Killer. 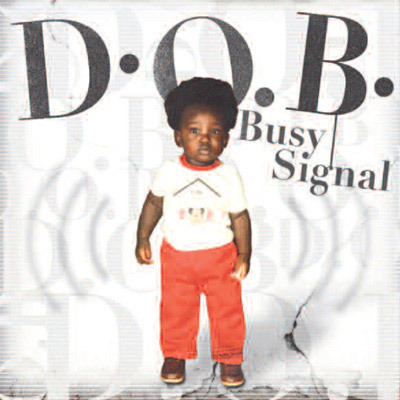 In July, Busy Signal dropped his third album D.O.B, an abbreviation for Difference of Busy Signal, or “Dominance of Busy Signal”, as he puts it when we chat. This album is certainly his most versatile yet. It includes styles such as electronica, latin, ballads and, of course, dancehall. He paved the way with smoldering singles One More Night and Night Shift, but also Smoke, a tune heavily influenced by Madonna’s 80’s monster hit Like A Prayer. When I reach Busy Signal he’s in Jamaica outside a studio and has just got back from Guadeloupe. He’s in a great mood and stutters a bit when he gets excited. One topic that gets him going is music. Not any kind of music in particular, just music. Maybe that’s why the new album includes so many styles. − I love all sorts of music and the new album has been received very well. It’s a fusion of genres, he says. And D.O.B certainly is big blend. When I ask him about his choice of covers he reveals his passion for pop and soul. − I use to drive around in my car just listening to 70’s and 80’s music. That’s real music. You got to know your roots. Busy Signal says that he’s not a dancehall artist. He’s a musician eager to learn new music, and gives an example. − Music is a world known language. No one would be illiterate if music was a language. And he’s not worried that his fans might drop him due to his interest in trying new stuff. − When I did These Are the Days I wondered what people might think. But they embraced it. Apart from his three albums, Busy Signal has released hundreds of tunes on dozens of rhythms. He seems very productive to say the least. − I’m always in the studio. I want to do quality work and always try new things. I make music for the middle class, the ghetto people, uptown people, poor people. It’s hard work. Performing on stage has demanded a great deal of practice. Busy Signal says that he used to be very shy, but that his mentor Bounty Killer has taught him to be more commanding on stage. − Bounty Killer has taught me delivery, both on record and on stage. You have to sound good on the record, but even better live. He taught me to keep it strong and now I enjoy myself on stage. Those who have seen Busy Signal live probably agree that Bounty Killer has done a great job in teaching Busy Signal. His performance is energetic and as far from shy as you can get. 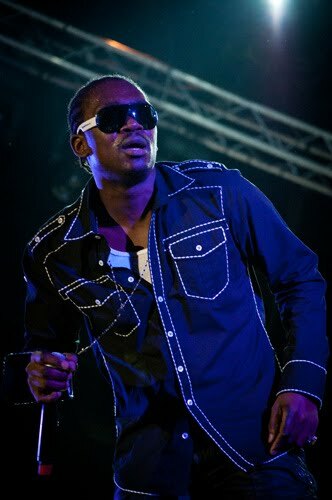 Busy Signal is one of the biggest dancehall stars of today with several big tunes in recent years. He began to receive attention in 2005 with breakthrough hits like Born and Grow and Step Out. Two years ago he dropped the acclaimed album Loaded, including hits such as Jail, These Are the Days and Unknown Number. His first two albums were more or less straight up dancehall efforts. Busy Signal’s new album D.O.B (Difference of Busy Signal) takes him in a somewhat new direction. D.O.B is softer and more melodic compared to its predecessors and includes smooth tunes such as covers Sweet Love/Night Shift by the Commodores and One More Night by Phil Collins. Let Peace Reign is a straight ballad where Busy Signal’s vocal is accompanied only by an acoustic guitar. Busy Signal is certainly not afraid to venture into musical territories that others might stay away from. Picante and Busy Latino offer a Spanish feel and the latter is a blend with Puerto Rican singer Elvis Crespo’s huge 90’s hit Suavemente. Perhaps Busy Signal should’ve avoided territories such as Latino and ballads too, and put more focus on dancehall. Those cuts are by far the best. Busy Signal’s distinct and robust baritone voice is at its best on the funky Hi Grade, on a great relick of Winston Riley’s classic Stalag rhythm, or on up-tempo tracks such as How U Bad So and Summin’ A Guh Gwaan, a duet with dancehall icon and mentor Bounty Killer. Whether you’re a fan of Busy Signal’s new direction or not, it’s easy to be impressed by his tunefulness, versatility and musical skills. This might not be an album for everyone, but you’ve to give him props for trying new things and not limit himself.